Chindo viburnum (Viburnum awabuki Chindo) is an evergreen flowering and fruiting shrub that grows in temperate regions covered by USDA zones 7b through 9. Chindo has a pronounced upright and pyramidal growth form, according to North Carolina State University, and can reach 15 feet in height at maturity. It flowers in the spring and early summer and as a flowering ornamental should be pruned sparingly and only as needed to remove damage or prevent entanglement with nearby trees or structures. 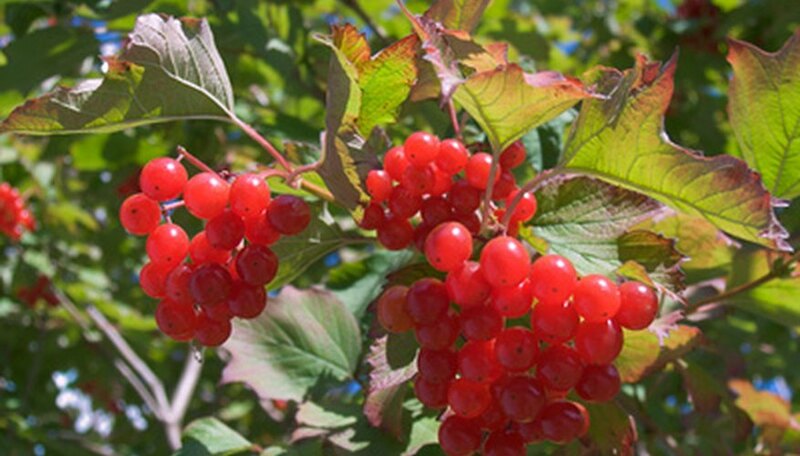 Prune your chindo viburnum shrub in the early summer immediately following bloom to preserve the next year's spring bloom, but you will lose some or all of the the berries birds and other animals sustain themselves with in winter. Alternatively, prune in the spring after the last hard frost has passed, when you will lose some bloom but will have preserved the decorative berries over the previous winter. Inspect the shrub carefully for broken or cracked branches, diseased foliage, abrading or otherwise problem branches. Remove any of these that you find down to a point of healthy tissue on the parent branch. Place all cuts on the bias outside the slightly swollen branch collar where the two branches meet or where a branch meets a limb. Prune your viburnum for size, if absolutely necessary, by reducing the length of the problem branch tips placing the cut just 1/4 inch above a leaf node or bud. Cut only where necessary to alleviate the overgrowth and never remove more than one-third of the plant tissues as this can bring stress and elicit a shock response. Use the correct tool for the corresponding diameter of branch to ensure a clean crisp cut without tearing the viburnum. Loppers are ideal for branches smaller than 1/2 inch around and a fine-toothed pruning saw is better suited for anything larger. North Carolina State University: Viburnum Awabuki "Chindo"